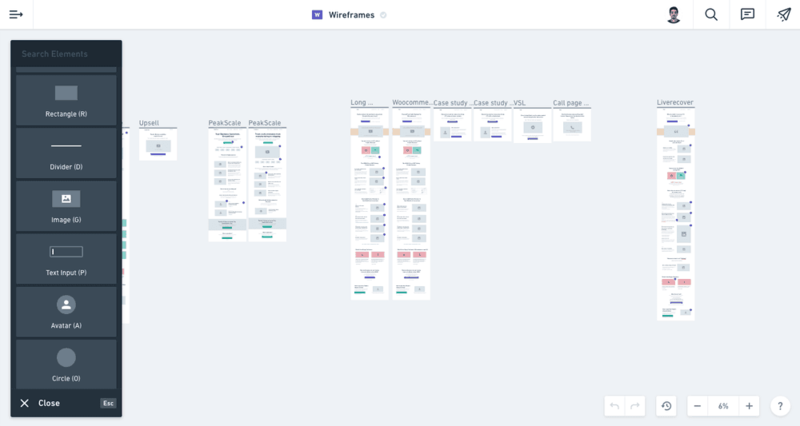 That's around what it takes me (and what it should take YOU) to come up with 80% of a first draft of SaaS Landing page. The copy, the titles, the structure and the content. All of it! But... Why do people take sooooooo long? Think about it... How long does it take YOU to do the same? How much time are you loosing by not having a proper process to go from idea to a full page? 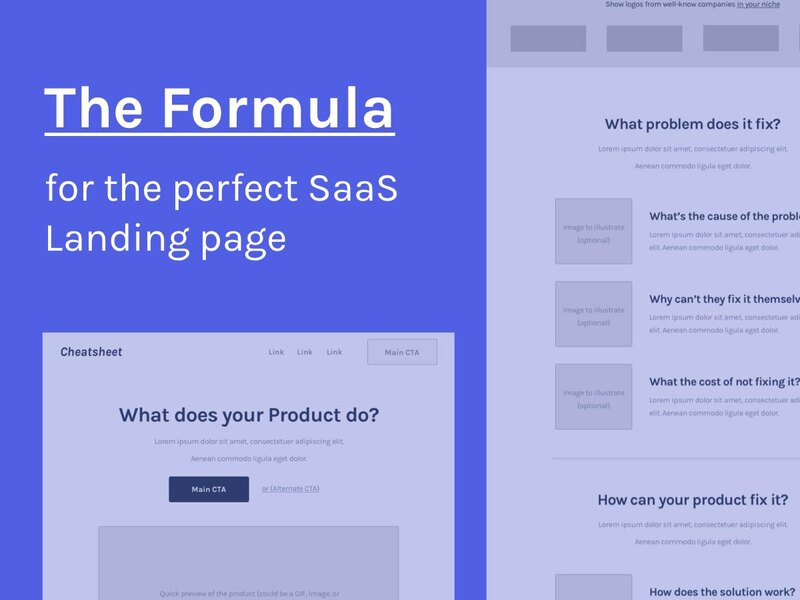 In this step-by-step guide, I'll show you how YOU can save a bunch of time when coming up with all of the SaaS Landing pages (or just other pages in general) in the future! And better... With as few iterations as possible! Want to share this Google Doc + the PDF version of this article with your team? You can get both here. In order to get results fast and predictably we need a (proven process). Why? Because it get's rid of all the other decisions that are not directly related to explaining the product. Here's the real formula for conversions: The RIGHT product + The RIGHT Explanation ?= Conversions (== MONEY). 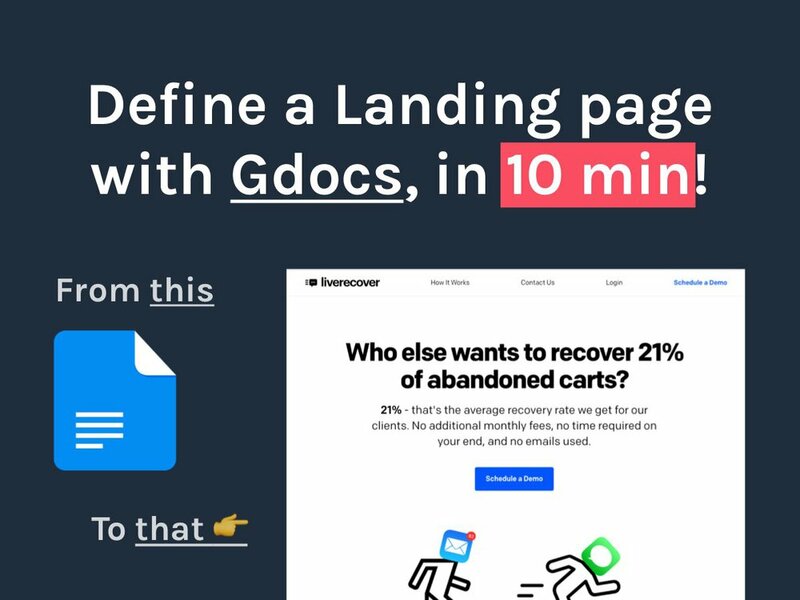 The remaining parts of this article will be about explaining how to use my Gdoc template and turn it into a template. 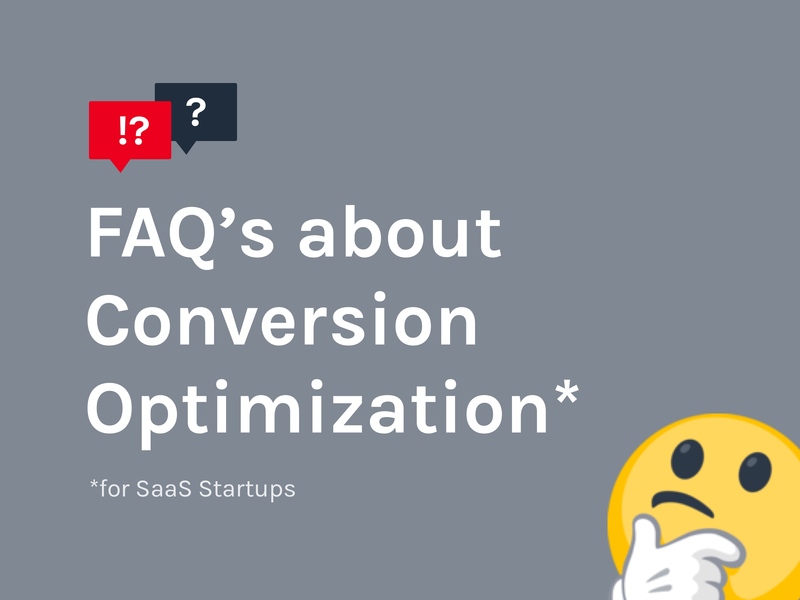 In order for YOU to get the most value I suggest you get the doc so you can follow along the explanation and you'll get the content for your SaaS Landing page. Follow the process below: Get the Google Doc + the PDF version of this article. Got it? Ok, let's begin this process! Research/Goals before starting the rest of the process. Get this template here. This is super simple. The only reason we are writing this is so we don't forget some core value or problem that the potential customer has as it might affect the results if we don't include them. This is not something it should that long... it should be AUTOMATIC for you (at least if you have done enough research). Just right a couple bullet points for each thing and we should be able to move on to step #2. Ready? Let's move on to step #2. Imagine your SaaS Landing page needs to grab attention like any other magazine. Something that makes you want to learn more... The "why's", the "what's" and the "how's" (ALL OF IT). 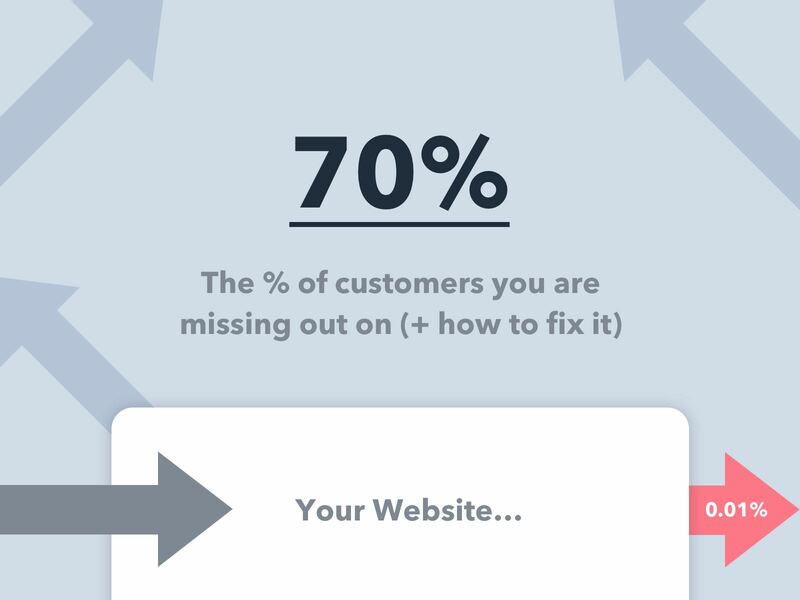 That's the goal of your header (aka the top of your Landing page). 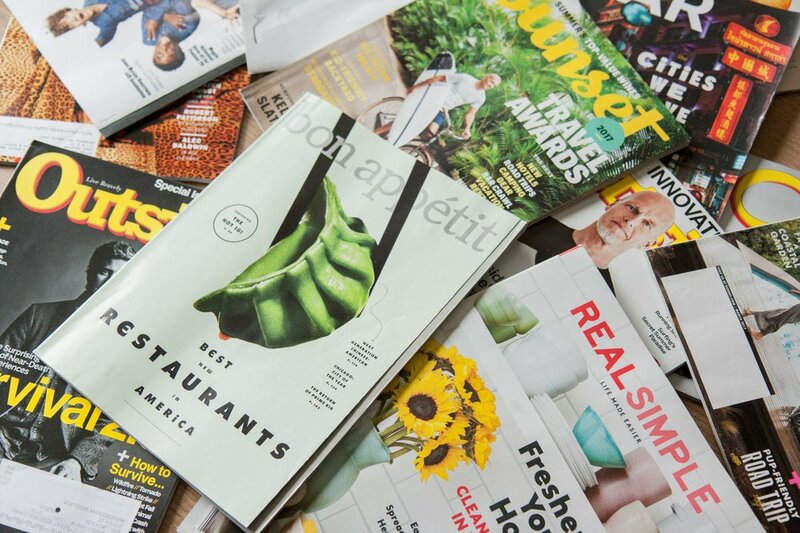 Grab their attention and get them to read more! That's what your potential customers will do (leave without converting) if this section of your page doesn't stand out. Use the Gdoc I gave you and test out a few ideas. Make sure they (1) grab attention and (2) speak about the core benefit involved. Don't worry if it doesn't come easy, there are formulas for these headlines! Struggling with the headlines? Just use a free generator like this one. Here's one (good + free) headline generator created by a great copywriter. 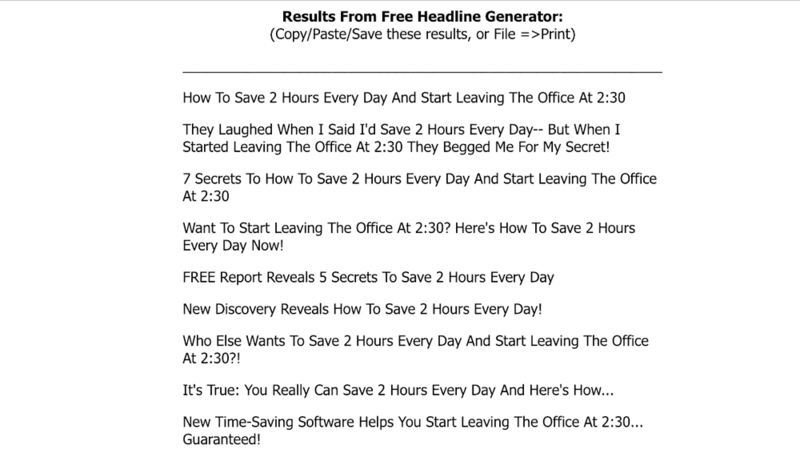 Simply fill in the info and it will give you a ton of (proven) headlines ideas you can use. 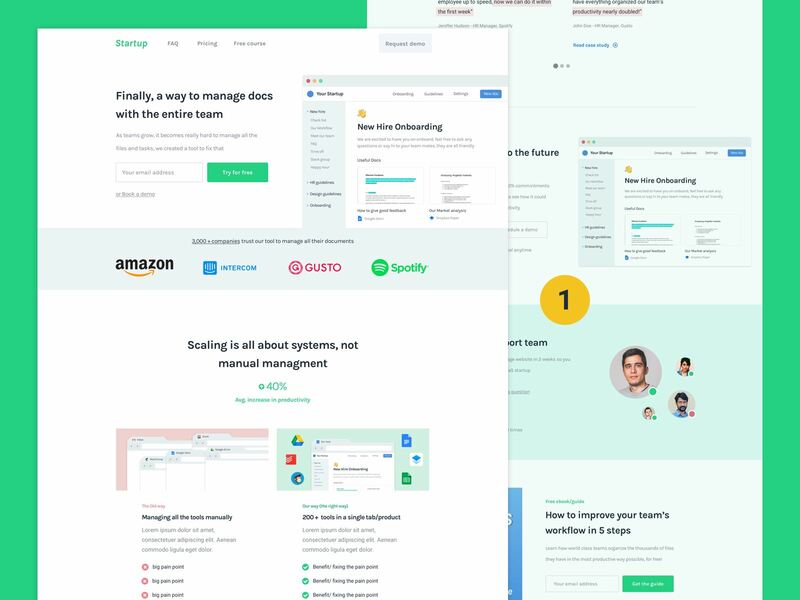 These are enough to generate headlines for all of your SaaS Landing pages, articles, lead magnets and so on... (if you need too). How to introduce the problem. Get this template here. This is something that is incredibly rare to see SaaS companies doing right... It's probably the most important section on your page! 1) Not knowing which problem your product fixes -> They'll think it's either useless or be confused about it. Pro-tip: Make sure you do your research to find what's the underlying problem(s) people want to get fixed, otherwise, they might not value it enough to convert or you might pitch the wrong problem altogether (which is even worse). This is where you explain the solution and add 3-5 points on how the product can fix the problem introduced above. Simply reply to the questions from the Gdoc to get the content you should have here. 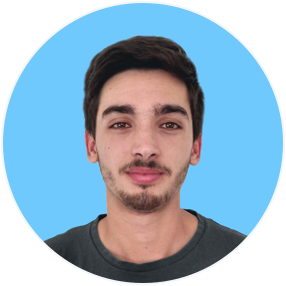 Explaining how the product/solution works from MeetEdgar. Once turned into a real Landing page the explanation should look similar to the example above (in its simplest form). Just add testimonials to make your potential customers feel other people are already getting good results. 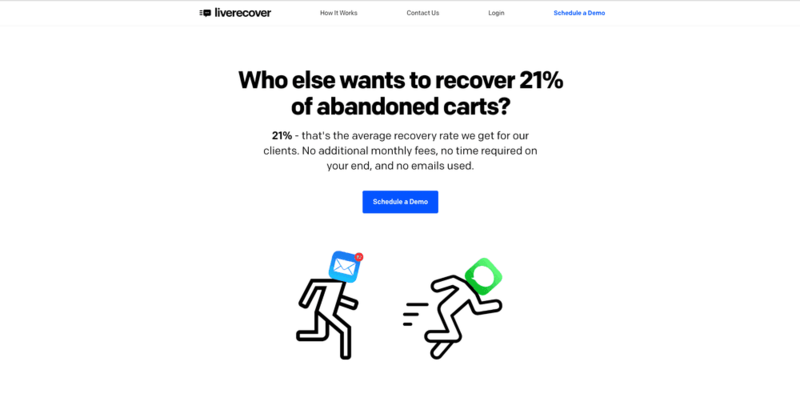 Ideally, focus on result driven testimonials like “We were able to reduce costs by 24%” not “Awesome tool, I’d highly recommend it!” (the latter has no value). The key here is to provide testimonials people can relate to, the more similar the examples are to their situation the better! Another key component is to make them relatable. Make sure the potential customers think the customers you already have are SUPER similar to them in as many aspects as possible. 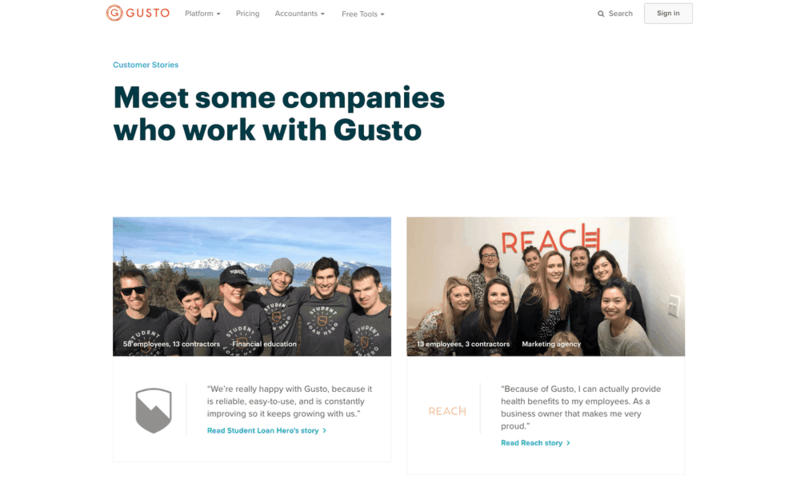 Gusto is a great example of this since they are showing the size of their customer's teams and that's the single biggest thing other potential customers can relate to (in their case). 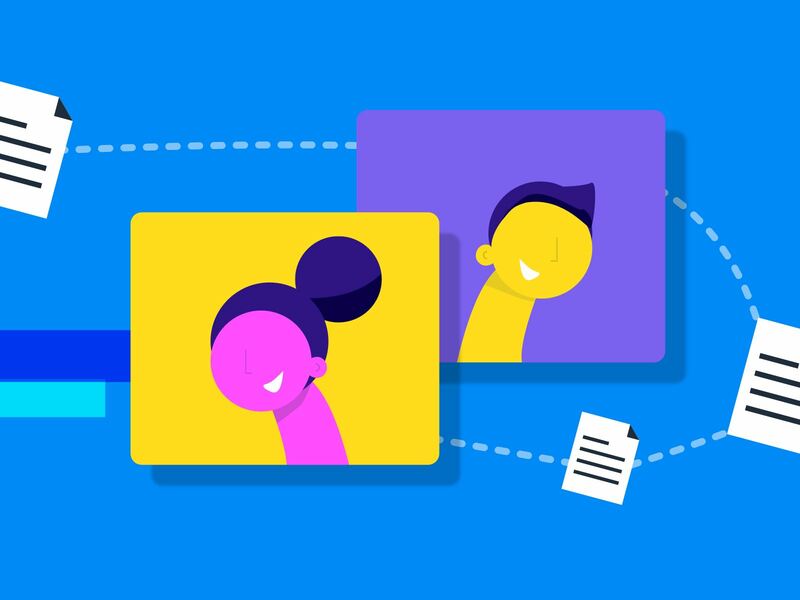 The more relatable they are in terms of sharing the same problems or benefits the more likely people will picture themselves using the product and convert because of it. 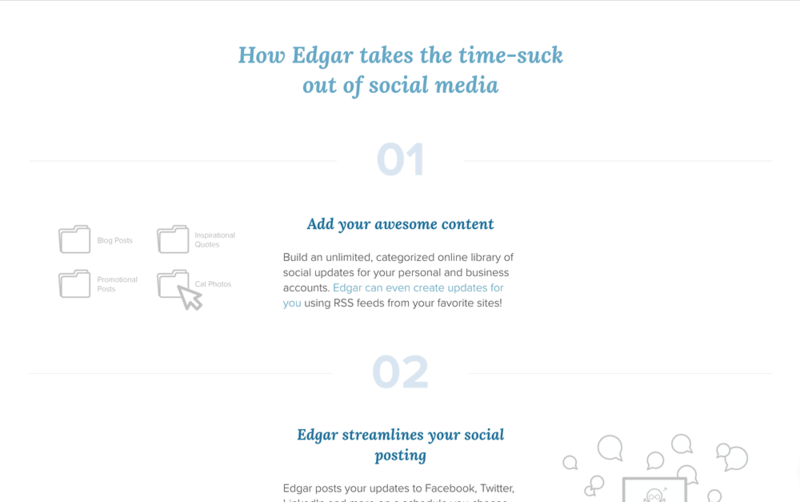 Example of a "final" CTA from this free landing page cheatsheet. Now that you've created an awesome pitch about the product you want an easy way for people to convert. You don't want them to scroll back up and look for a way to convert, make it simple and add one near the end of the page. Pro-tip: Make sure to make it seem lower commitment like: “The first 14 days are on us!” if you’re using a free trial as your main CTA. Example of of an alternate CTA from this free cheatsheet. Regardless of how good you pitch is some people are just not at the right stage to convert. In fact, most people won't be ready (according to the buyer's journey). All of them could be great you just need to find one that fit's your product or what your target market would expect. 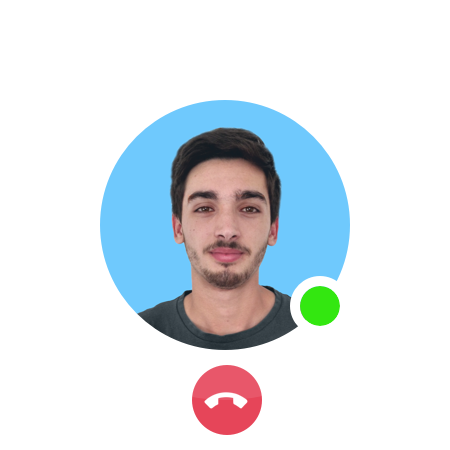 Demos, chat widgets, FAQ’s, lead magnets and exit popups are all great for this. 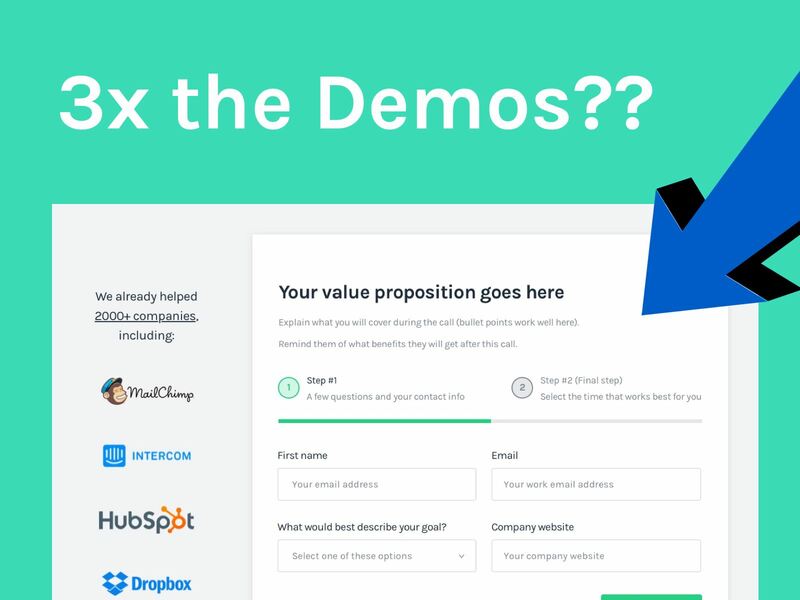 Since the structure, titles and goals are already define you just created 80% of your Landing page in 10 mins. The next steps are simply filling in the text below the titles and add some images (both things should support the titles/section). Now you can either turn it into a live website or you can see how it looks with a wireframe (aka a "sketch" of your page). Whimsical.co is the free tool I use with all my consulting projects. I can simply drag and drop headlines, buttons and images and get a 95% accurate preview of what the version would be. This is awesome because whenever I'm consulting I can define most of the page pretty fast and let the company finish the rest (which makes the entire project cheaper). 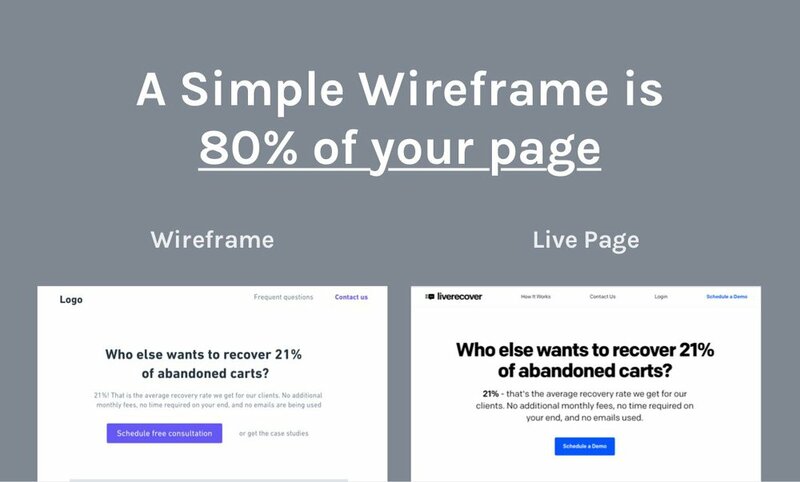 Want some wireframes to speed up and improve your website redesign? Let's see if you qualify here. Don't get me wrong... 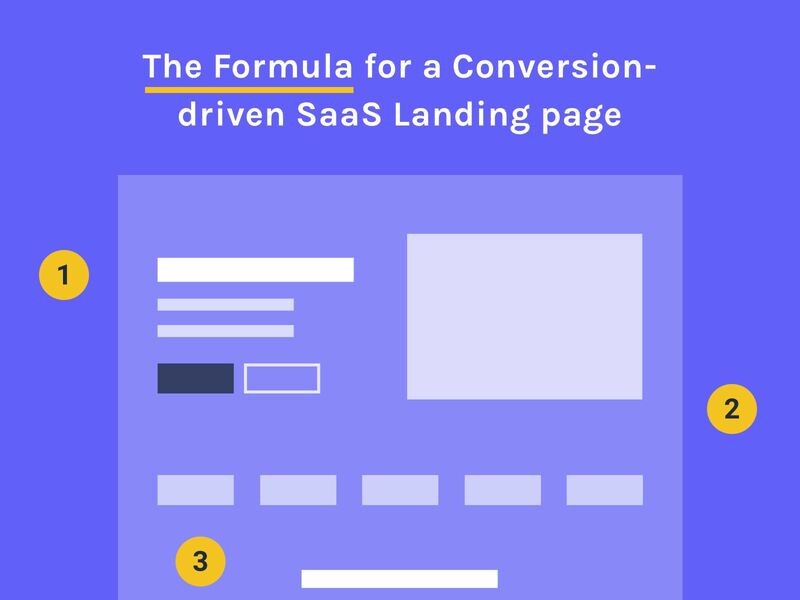 If you use this formula you should be able to come up with a great SaaS Landing page 10x faster. The only variable here is the research. This research should be done before you even open up this Gdoc and determines if you are talking about the RIGHT problems and the RIGHT benefits. Anyone can follow this formula but the ones who will get massive results are the ones who have mastered this research. I'll give you 2 options to get the 100% of the (money making + time saving) process. 1) You can learn the remaining 80% from me as I laid out my entire step-by-step process in my book, learn more here. 2) I can do it for you (or guide you and/or team) so you can get the best results (+ money) possible and save a bunch of your team's time (which also = money), see if you qualify here.